2Br, 2.5Ba, 913 esf townhouse style residence. Granite counter tops, dual pane windows, SS appliances & laundry closet. Enjoy the convenience of a 1/2 bath downstairs and two full baths on the 2nd level along with a master deck. Very clean property in a well kept complex with pool & spa. Located close to all including shopping, theatres, restaurants, golf, Cal State, Palomar, Sprinter, Lake San Marcos & freeway. 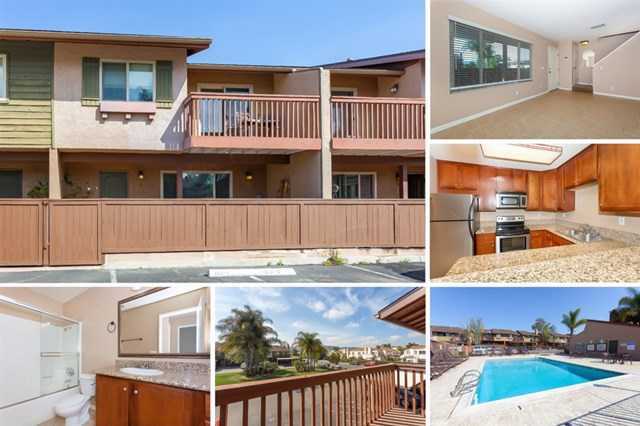 Please, send me more information on this property: MLS# 190018057 – $330,000 – 213 Westlake Dr Unit 2, San Marcos, CA 92069.